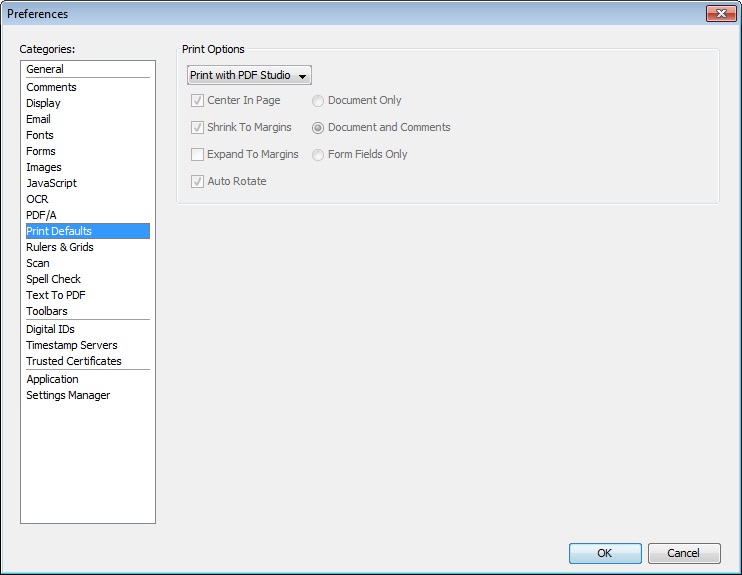 Q: How can I change the default Print Dialog in PDF Studio? Print With PDF Studio: This opens PDF Studio own print dialog which offers enhanced printing options such as preview, enhanced page ranges, paper options, show or hide comments, booklets, etc… This gives more possibilities for printers / drivers that don’t support all features, especially on Linux. Print with System (Windows, Mac or Linux): This opens the default system print dialog from Windows, Mac or Linux depending on your OS. By default, PDF Studio is set to “Print with PDF Studio”. Follow the steps below to change the default print dialog. Click on the drop-down and select the print default dialog. By default, it is set to Print with PDF Studio. 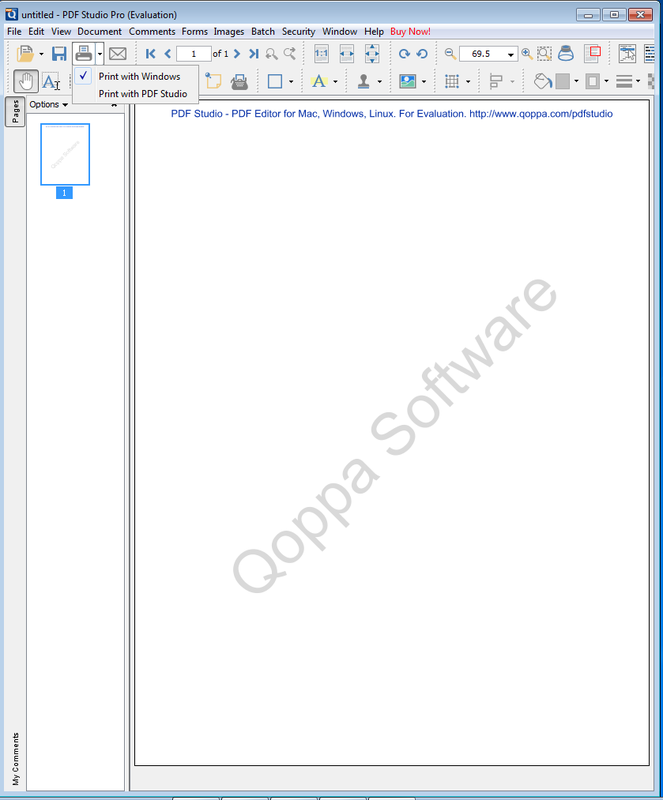 In PDF Studio 10, click on the arrow icon next to the Print icon and select the print dialog you wish to use.